This weekend kicks off the NCAA Sweet Sixteen, leading into the culmination of March Madness — the National Championship game. The Final Four is one of the most anticipated and action-packed weekends in college sports, where millions of fans will tune in to games to watch Cinderella stories unfold and root on the teams that will push their brackets to the top of the rankings. 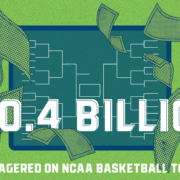 With all the excitement surrounding the tournament this year, we put a list together of sixteen sweet March Madness stats that you probably haven’t heard before. 1. 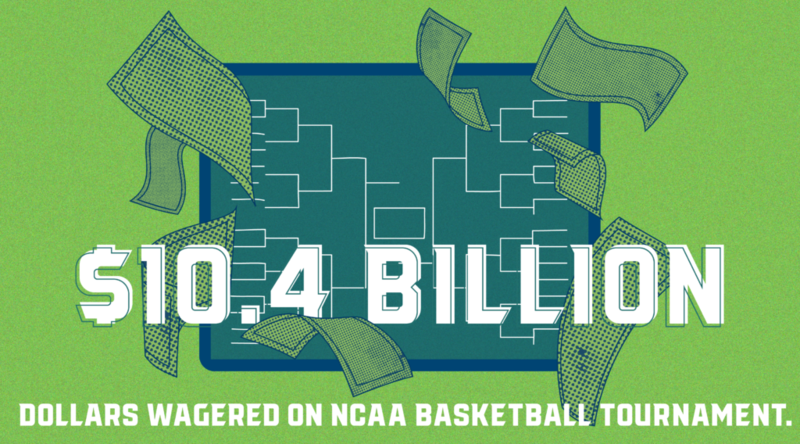 $10.4 billion dollars are wagered annually on the NCAA Basketball Tournament. 2. 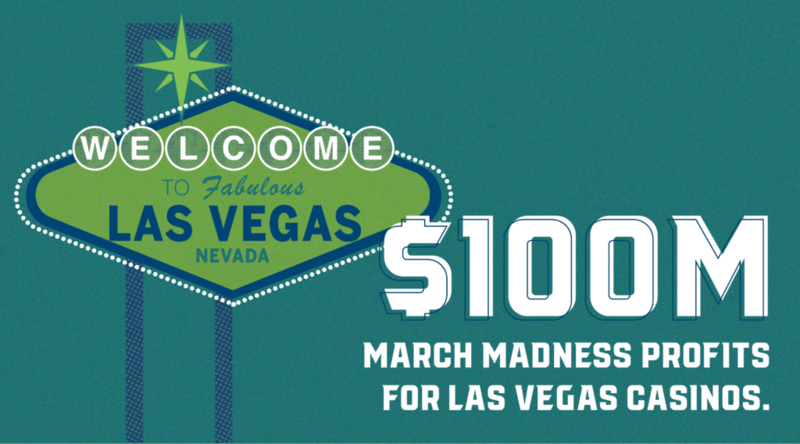 Las Vegas Casinos average $100 million in profit from March Madness. 3. 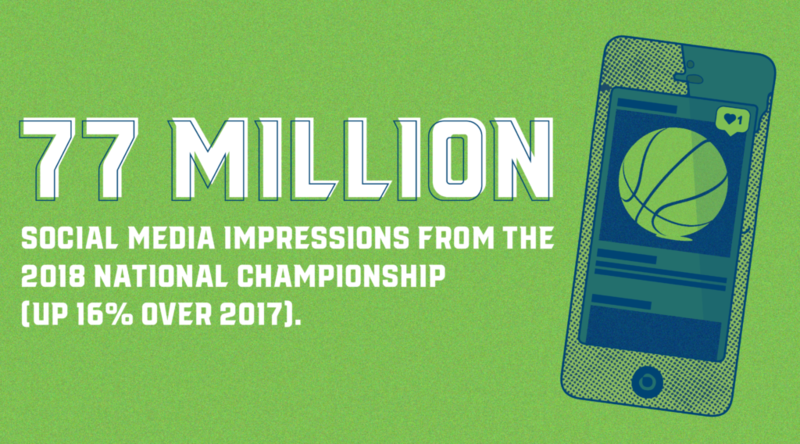 The 2018 National Championship game garnered 77 million social media impressions, an increase of 16% over 2017. 4. 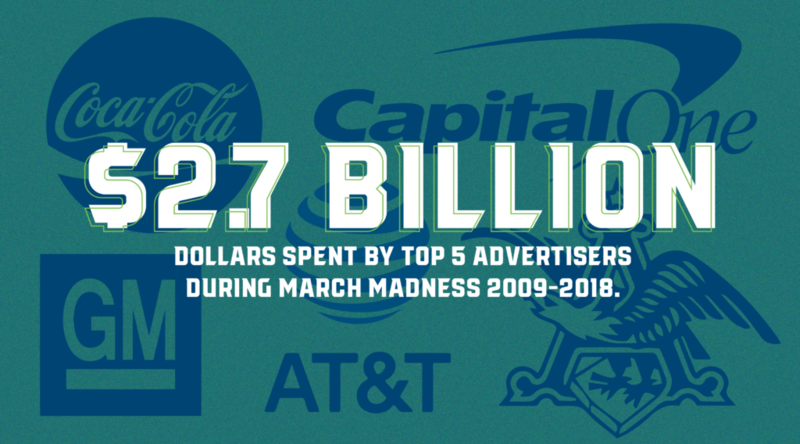 The Top 5 March Madness advertisers (AT&T, General Motors, Coca-Cola, Capital One Financial, and Anheuser-Busch InBev) spent $2.7 billion on game ads from 2009-2018. 5. 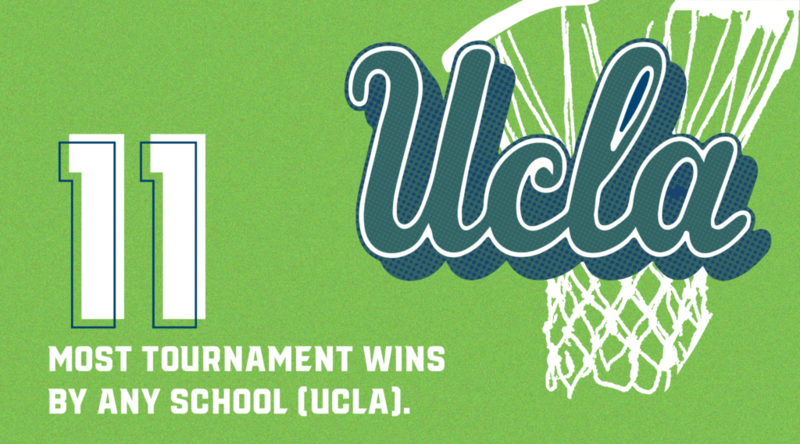 UCLA has the most tournament wins (11) of any other school. Their last National Championship win was in 1995. 6. 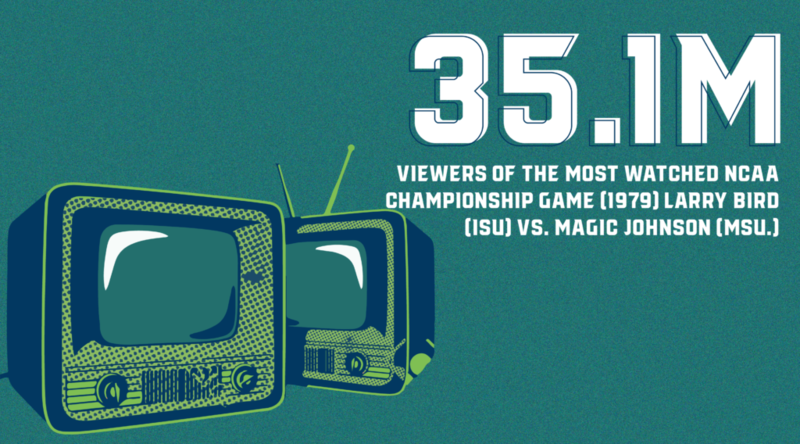 35.1 million people watched the 1979 Indiana State vs. Michigan State National Championship game – the most viewers of an NCAA basketball championship game ever. 7. 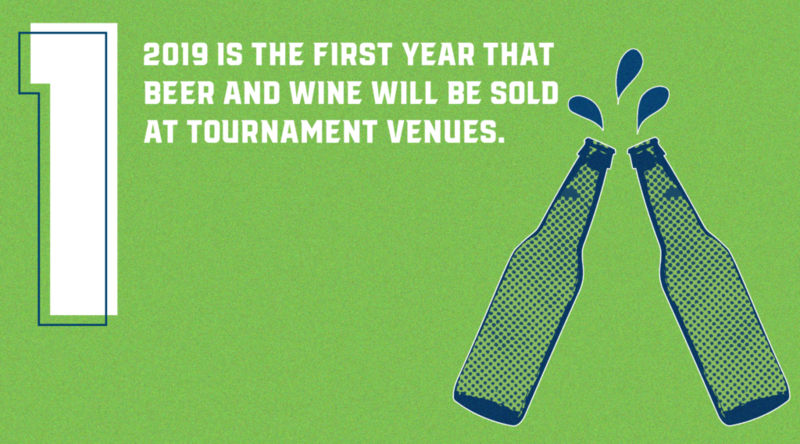 2019 is the first year that beer and wine will be sold at tournament venues. 8. 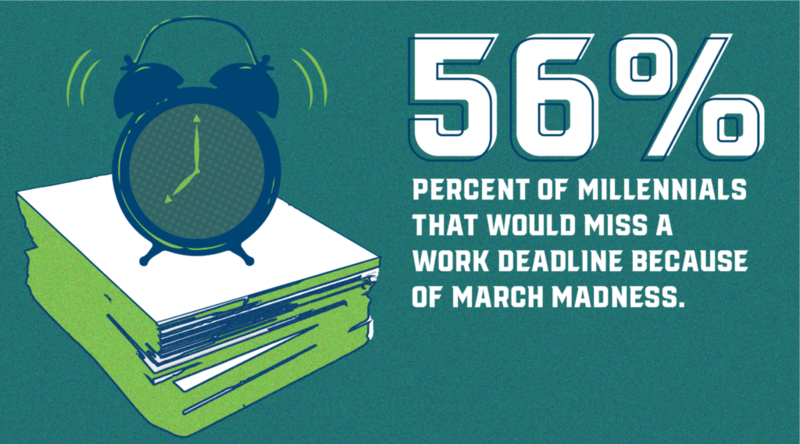 According to WalletHub, 56% of millennials would be willing to miss a work deadline because of March Madness games. 9. 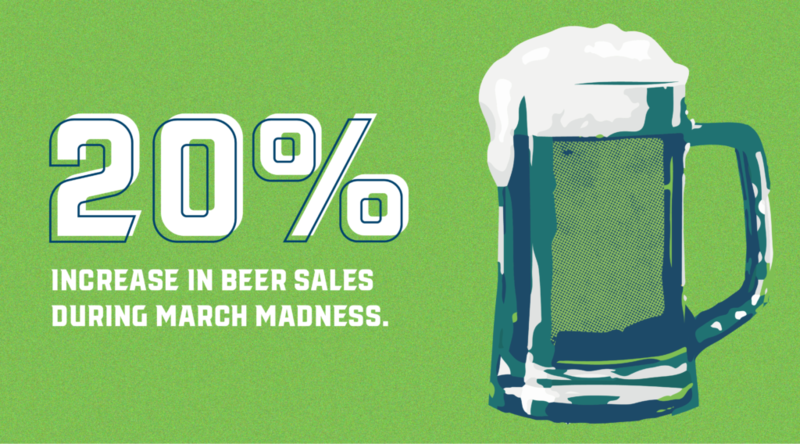 Beer distributors note a 20% increase in sales during the month of March. 10. 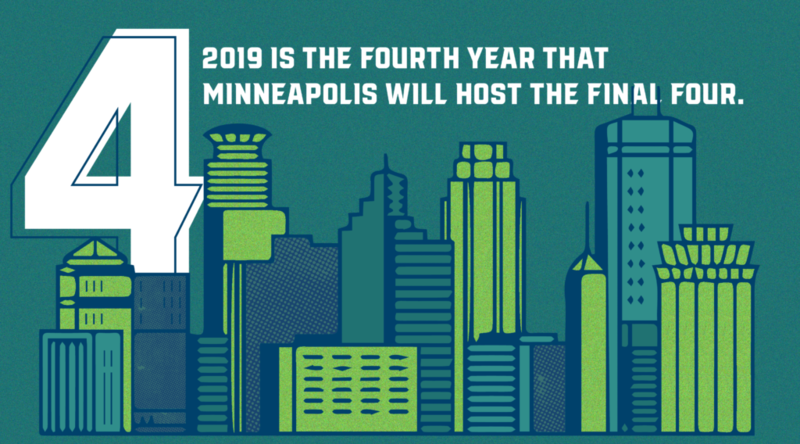 2019 is the fourth year that Minneapolis will play host to the Final Four games. 11. 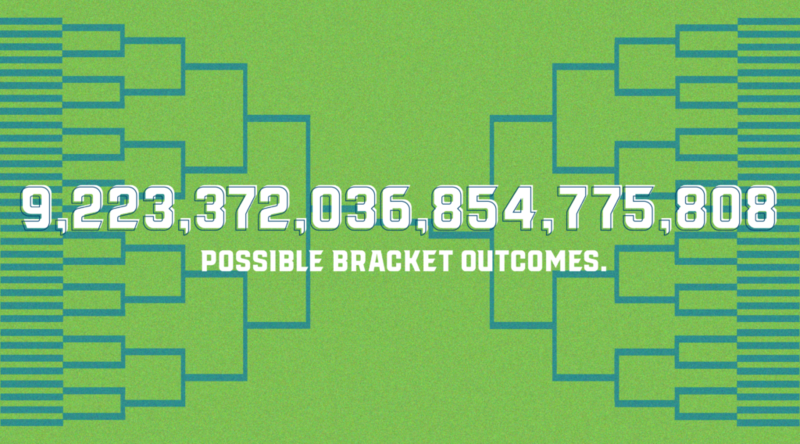 There are 9,223,372,036,854,775,808 possible bracket outcomes, so the odds of picking a perfect bracket are, unfortunately, slim. 12. 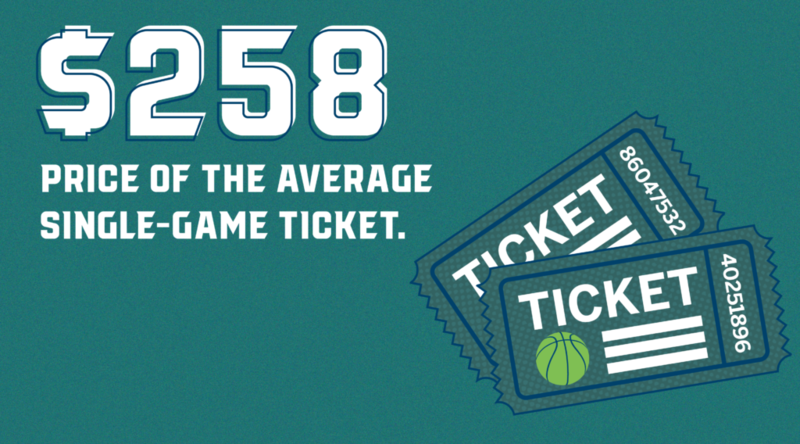 The average price of a single-game March Madness ticket is $258. 13. 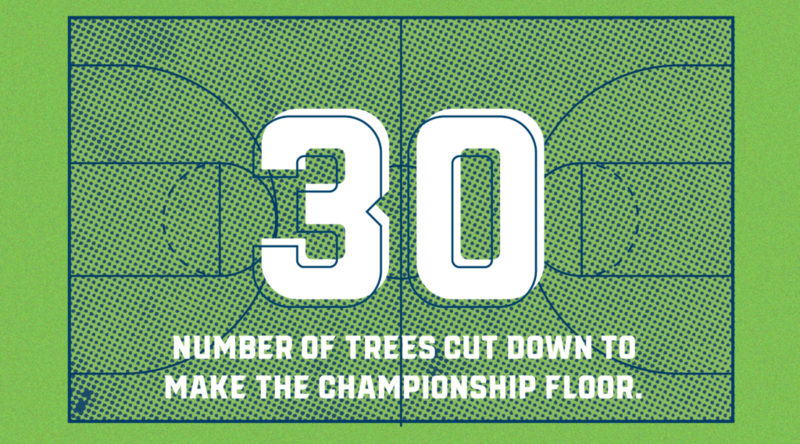 About 30 Trees are cut down every year to make the Championship floor. 14. 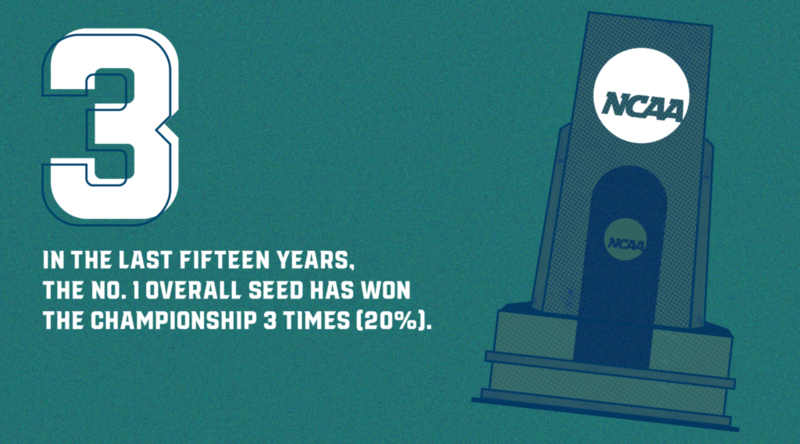 In the last 15 years, the #1 overall seed has won the Championship only 3 times. 15. 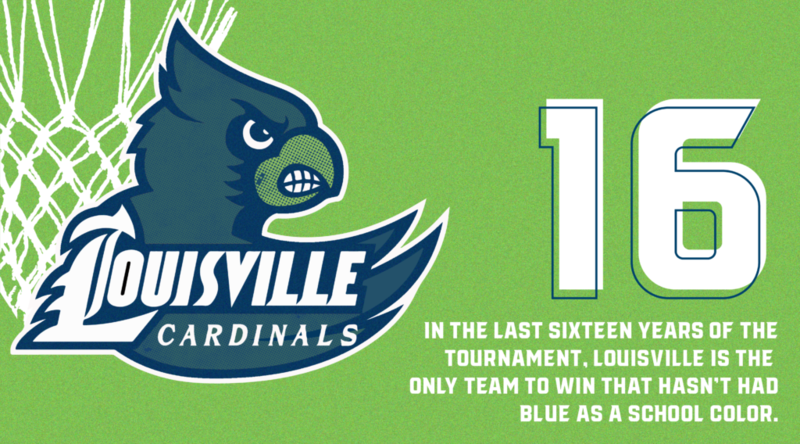 In the last 16 years, Louisville is the only team that has won the Championship that hasn’t had blue as a school color. 16. 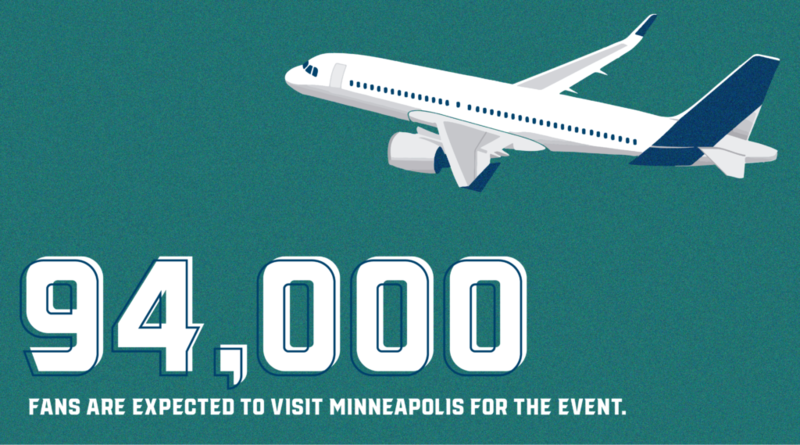 Minneapolis is expected to play host to more than 94,000 March Madness fans this year. 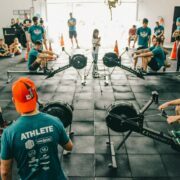 Kat is a Graphic Designer at Upper Hand, a sports software company aiming to simplify front and back-end office tasks, by providing cutting-edge marketing and registration tools, and business intelligence, that enable unsurpassed performance for sports businesses across the nation.